As a prairie organic farmer, you have exclusive access to the organic grain prices posted monthly by Organic Biz. These prices help you stay on the pulse of market opportunities and information, and grow your thriving organic enterprise. 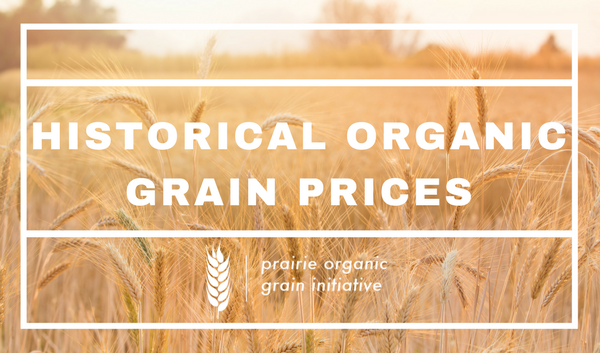 The Prairie Organic Grain Initiative has gathered grain prices from 2012 onward, and created charts that display trends over the years. Knowing these trends will help you to plan effective crop rotations, and give you historical context to make decisions, market your products successfully, and maximize profits for your farming business. 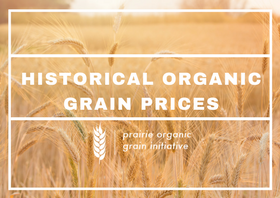 Click here to view both current and historical organic grain prices.